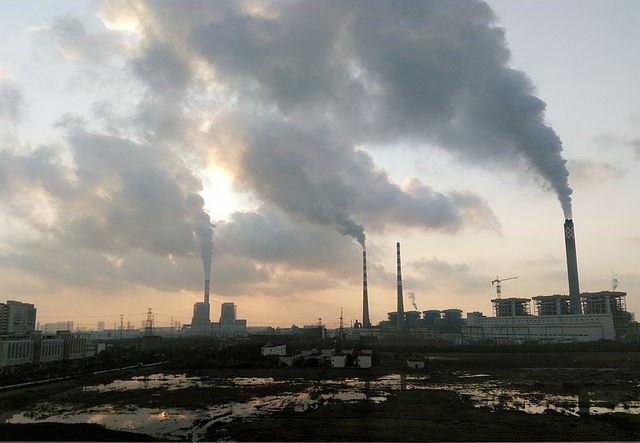 Besides warming climate by intensifying the Greenhouse Effect, modern coal-fired power plant emissions are the biggest source of ultra-fine particles (UFPs) that negatively affect human and environmental health from local to global scales in several ways, according to a recently released international study. Conducting a 15-year, international study, two research scientists affiliated with Australia’s Flinders University determined that modern coal-fired power plants emit more UFPs than road traffic, which scientists previously believed to be the biggest source of UFPs. Less than 100 nanometers in diameter, UFPs are not only harmful to human and other forms of life, they can cause shifts in rainfall and precipitation patterns and even cause extreme weather events, according to the study, which published in the Bulletin of the American Meteorological Society. “By redistributing rainfall events, this can lead to drier than usual conditions in some places and to unusually heavy and persistent strong rainfall elsewhere,” Professor Jorg Hacker from Airborne Research Australia, one of the report’s two authors, said in a news post. UFP concentrations have increased continuously worldwide since the introduction of modern coal-fired power station equipped with emissions filtration systems. Ammonia is added to coal power plant exhaust gases in order to convert polluting nitrous oxides to nitrogen and water. Forest fires, dust storms, and volcanic eruptions emit huge amounts of fine particles into the atmosphere, but most are not in the ultra-fine, nanometer range. It turns out that the conditions found in coal power plant exhaust stacks are optimal for the formation of UFP according to the researchers. Ammonia concentrations are just right for the formation of UFPs, which results in very high concentrations in exhaust gases. Emitted from stacks 200-300 meters in height, they’re transported for hundreds of kilometers in the atmosphere depending on wind and weather conditions. The UFPs can lead to so-called “particle events” near the ground in specific areas far from their source and have an enormous impact on environmental processes, including influencing the formation and properties of clouds and precipitation, according to the research paper. The researchers used two novel means of collecting the data for their study. They used a motor-glider heavily equipped with instrumentation and a flying “trike” developed in Germany that’s said to be the smallest manned research aircraft in the world to conduct their study, during which measurement flights were completed in Australia, Europe, Mexico, and Inner Mongolia. “Our two research aircraft are particularly suitable to follow the plumes from the smokestacks downwind for hundreds of kilometers and study their behavior in great detail,” Prof. Hacker said in the news post. The scientists combined their observations with other meteorological observations and used dispersion and transport models to trace the UFPs back to their origin. “In this way, we found that fossil power stations have for many years become the strongest individual sources of ultra-fine particles worldwide. They massively influence meteorological processes and may cause extreme weather events, including intensive rain events,” said Hacker.